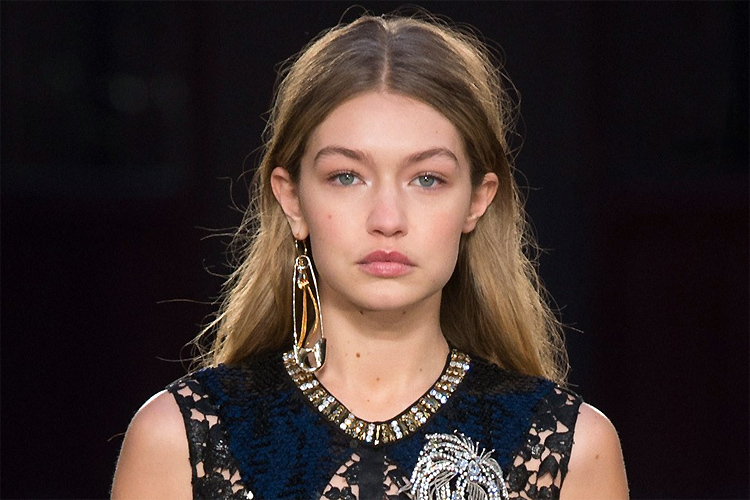 Understated, functional and iconic, safety pins are gaining momentum the jewelry world, as the latest fashion shows elevate them to one of the jewelry trends for fall. Invented by Walter Hunt and patented in the US in 1849, the safety pin became part of the emerging punk rock aesthetic in the late 1970s. It has since been adopted by fashion and jewelry as a representation of the edge and influence of this movement. The simple shape of the safety pin is not new to jewelry. Many jewelry and fashion designers have created beautiful pieces inspired by it. The new pieces feature a delicate and edgy enamel design, adorned with Gothic initials and natural elements such as lighting bolts, stars, and a serpent. 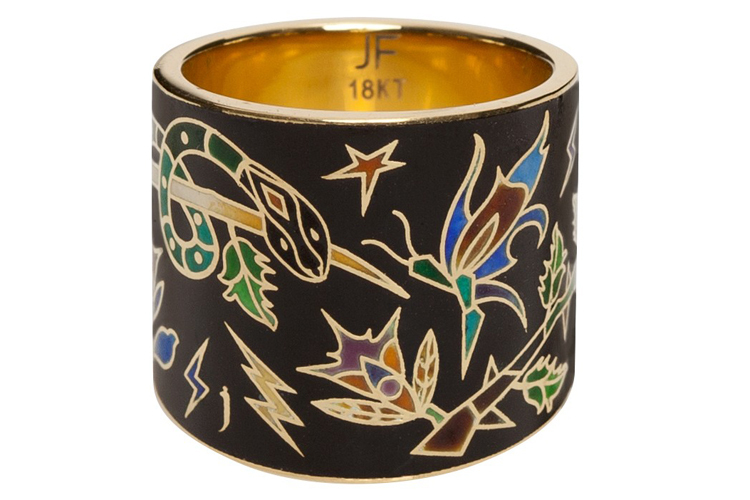 Jennifer Fisher's fine jewelry celebratory collection includes the "10 Year Anniversary Enamel Initial Pendant", with the designer's two initials, "J" and "F", and the 18-karat gold "10 Year Anniversary Enamel Cigar Band" ring. The colorful enamel pieces step away from Jennifer Fisher's signature designs and show a different side of her aesthetic. Meet Maria Leão Torres, a contemporary jewelry designer from Portugal with a bold and colorful signature, who's inspiration spans from Portuguese tradition to Hieronymus Bosch's, Wassily Kandinsky, Jackson Pollock, and Zaha Hadid. Maria is the founder of Leão Jewellery, a brand that translates identity, cultural and material heritage, with an experimental approach that merges jewelry with design, innovation, Portuguese iconography, applied arts, and fashion. Her unique, handmade statement pieces are a fresh take on jewelry, reflecting her innovative, curious spirit. 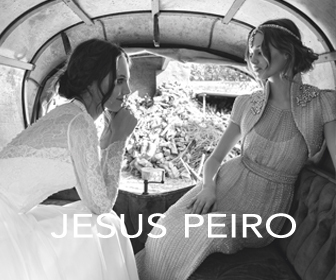 They translate her experience and influences in a very contemporary and deconstructed way, yet with a strong hint of tradition that makes them timeless. The "De Beers Millennium Jewel 4" was sold for $31.8 million at Sotheby's. 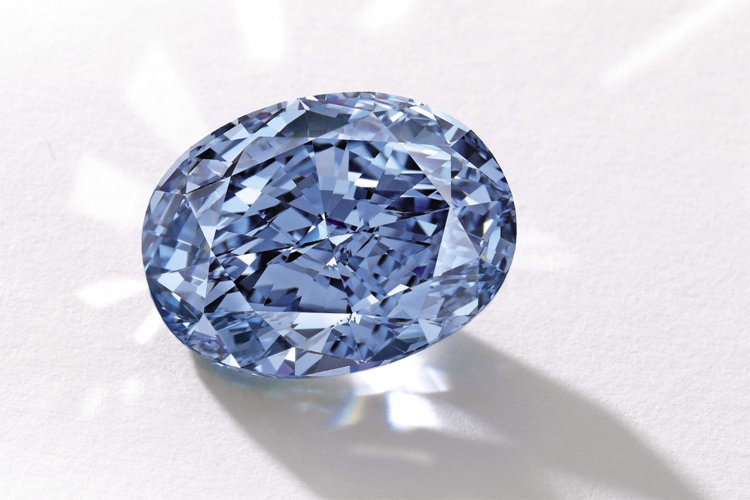 The internally flawless, vivid blue 10.10-carat oval diamond was purchased by an anonymous person during an auction held in Hong Kong. It was the highest price ever paid for a gem at auction in the Asian continent. The diamond was part of the Millennium Jewels Collection presented by De Beers in 2000, in London. In today's time, many talented people are looking for an opportunity to start up their own business and using their skills to create something new. We live in a world of globalization, innovation and entrepreneurship, but striving in a market full of creative and driven professionals is not an easy task. The main rule to start a business is to deeply understand the area and the market you are about to venture into. 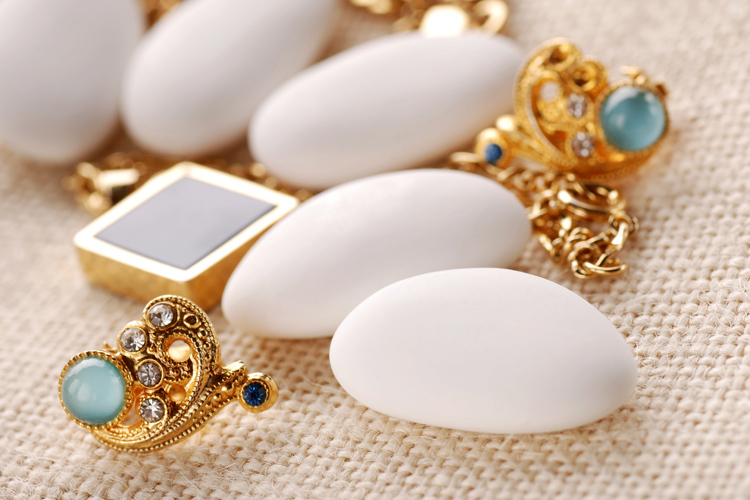 The jewelry industry, in particular, is booming rapidly, both on a large and a small scale, and established brands coexist with new labels and independent designers.